The ‘Sathyagraha’ organized by the JVP under the theme “Despise communal clashes that destroy National unity” will be held at Viharamahadevi Park today (9th) at 3.00 p.m.
National Bhikkhu Front, religious leaders, civic organizations, university lecturers and professors, artists, intellectuals are expected to participate. The JVP invites all who dedicate themselves to build a country without communalism and religious extremism to join the ‘Sathyagraha’. Ravi continues to receive ministerial bliss! Former Minister of Foreign Affairs Ravi Karunanayaka who had to relinquish his ministerial portfolio due to the exposure of information in connection with the bond scam of the Central Bank committed while he was the Minister of Finance is to be provided with all the privileges of a minister say political sources. According to these sources, it has been agreed not to remove the ministerial staff he was provided with as the Minister of Foreign Affairs. Meanwhile, it has been decided not to remove officials in institutions under the Ministry and the chairmen and director boards that existed while Mr Karunanayaka was the Minister would remain in office. Also, it has been agreed not to remove the ministerial security that had been provided to Mr Karunanayaka as a minister say political sources. 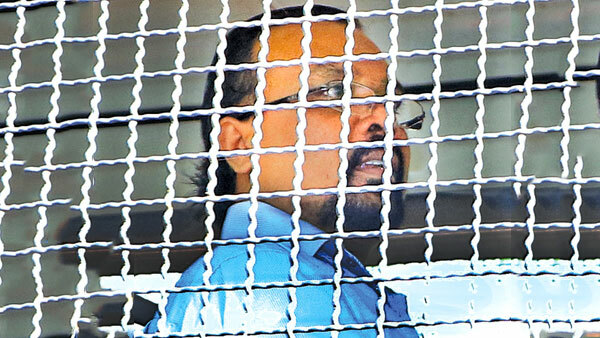 He never planned to shoot himself and neither did he know the person who has been arrested in connection with the shooting incident says former CEO of SAITM medical degree selling private medical school at Malabe Sameera Senaratna. Speaking to a private channel Sameera Senaratna who poses as a doctor, has said he possesses an accepted medical degree and as it has been accepted by Sri Lanka Medical Council, it was not necessary to sit the Act 16 examination, the examination for registration to practise medicine in Sri Lanka. In such an environment Sameera Senaratna stating a different story is indeed hilarious.